As you already know I am a big Select fan and have been using them for the last 2 years. 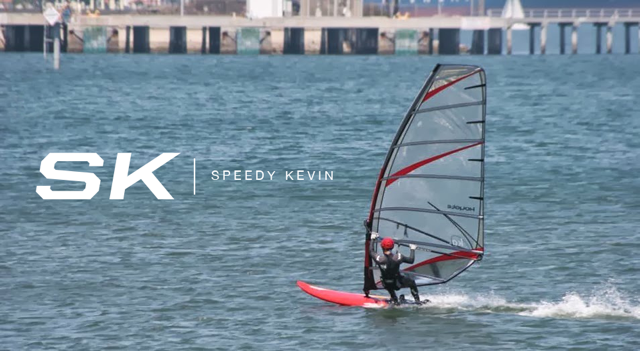 Recently been using their VMax fin which is their top of the line slalom fine. While it is a slalom fin I have found that it fits the role of a medium wind speed fin for me. I bought the 31 and the 35 shortly after trying the 31 on my old Tabou Rocket. Probably should have waited a little longer as the 2014 has now been released and according to Jurg I should be able to get it in about 4 weeks. Kind of a bummer as the season is over by than really.
" We have increased the rigidity of the body to provide more grip and optimized the tip flexibility to generate more lift as well as lowering the twist." "Another detail that worth mentioning : There will be a little less rake for sizes above 43cm"
From what I thought/saw, the chord definitely seemed like it got longer but according to select that was just an optical illusion from the picture and the chord remains the same as the VMax 1.0. I also noticed that it seems that the VMax 2.0 has less rake than the 1.0 but still waiting on Select to confirm. I do know that they did reduce the rake for 43 and above. The VMax 2.0 will be available in 27 to 61 cm's. As I already have a Vmax 1.0 in 31 and 35, I will probably be getting the the 2.0 in 31 (to compare) 33 and 37 for low winds. Probably will get them sometime in October so hopefully there is some wind than. The other new fin Select has released is their new speed fin called the "Hot Rod". I guess they aren't putting the name Casper in the title anymore but Casper Verhaagen is still designing them. Last week I was about to order a Casper Crossfire in 29 and 31 but luckily I waited it out and will probably shift my order to the Hot Rod in the same sizes. Maybe even a 33 for medium wind days at Cabrillo. If I have the available funds, I'd also like to get a 27 for winter storm days...but we shall see! I'll be sure to write up a review on them when I get them in (hopefully 4-5 weeks). Wind forecast for this weekend is looking good so hopefully I'll be able to get in a good speedsailing session for September's GPS Challenge!